Time flies. I was a freshman in college when Kobe Bryant declared that he was going to skip college and go straight to the NBA. Fast forward twenty years and Kobe has announced that he is retiring from professional basketball at the end of the season. Through a poem. 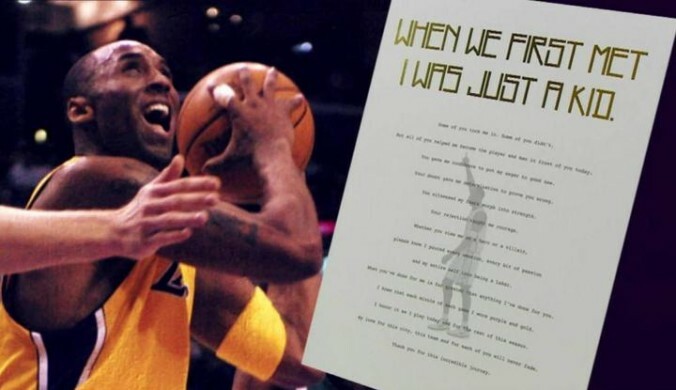 Kobe has always been known for being a voracious competitor on the basketball court. But it appears he has a plan for life after basketball. Kobe has already formed “Kobe, Inc.” and has started the process of acquiring trademark registrations. For nearly everything. It has been a recent trend for athletes to seek to acquire trademark registrations for their names and nicknames and likenesses. (“Johnny Football,” anyone?) Kobe is just taking it to the next level, which is entirely consistent with his personality as we know it. The question is what exactly is he seeking to protect?